The women who inspired The Lost Expedition! For International Women's Day, we wanted to look at the incredible characters that inspired our female explorers for The Lost Expedition. We wholly encourage you read more about each of them and find out more about their fascinating lives. Accompany each short biography are the early concept sketches by the incredibly talented Garen Ewing. 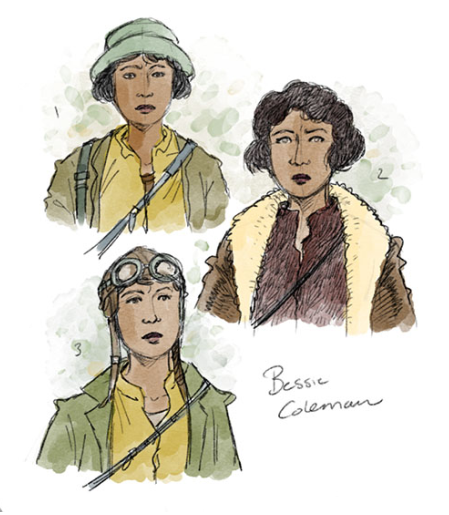 Bessie Coleman was a pioneer for women in the field of aviation. Enthralled by stories of pilots returning from the First World War, Bessie was determined to take to the skies herself. It proved impossible to find anyone to train her in America, and so she looked elsewhere, eventually heading to Paris to earn her pilot license. On her return to the US, Bessie laid out her plans to found a school for aviators of any race, enrapturing audiences with her eloquence and wowing them with her aerial displays. Her flights and public appearances proved popular, but her life met a tragic end when, on April 30, 1926, Bessie and another pilot, William D. Wills, were killed in a plane crash. 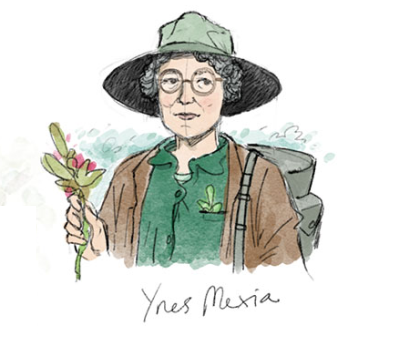 Ynés Mexia was a renowned botanist who developed an interest in the subject in San Francisco, having moved there from Mexico in 1908. Her career in the field started at the age of 55, but she quickly made up for lost time, going on a range of expeditions across South America between 1925 and 1938. On her final expedition she was diagnosed with lung cancer, and died within a few months. Her 13 years as a botanist yielded incredible results, collecting more than 145,000 specimens including two new genera and approximately 500 new species, 50 of which are named after her. 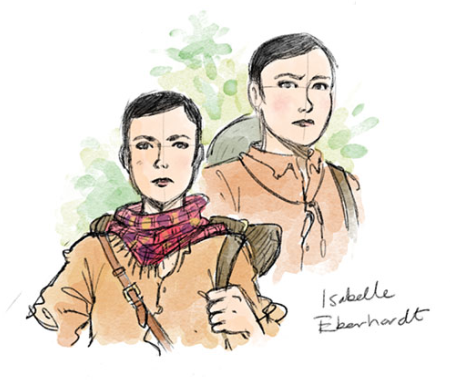 Isabelle Eberhardt was a Swiss explorer and author fascinated with North Africa. Her early writing was informed through correspondence with those in the region, but she longed to leave Europe behind her and head out there herself. She moved to Algeria with her mother in 1897, quickly becoming fluent in Arabic and converting to Islam. After the death of her parents Isabelle relinquished her mother’s name, instead going by Si Mahmoud Saadi, and started to dress exclusively in male clothing, speaking and writing as a man. Her life was tragically cut short in 1904 in a flash flood in Aïn Séfra. After her death several of her manuscripts were published, having been reconstructed and, in some sections, rewritten following the flood, the critical acclaim they received highlighting her skill as a writer. The Rue Isabelle Eberhardt in Algiers is named in her honour.